Severn House Publishers, 9780727888365, 256pp. 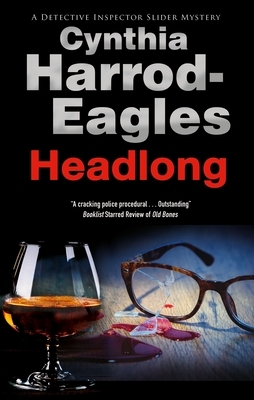 When one of London's best-known literary agents is found dead in strange circumstances, having fallen headlong from his office window, DCI Slider is under pressure from the Borough Commander to confirm a case of accidental death. But when the evidence points to murder, Slider and his team find themselves uncovering some decidedly scandalous secrets in the suave and successful Ed Wiseman's past. An embittered ex-wife. A discarded mistress. A frustrated would-be author. A disgruntled former employee. Many had reason to hold a grudge against the late lamented literary agent. But who would feel strongly enough to kill him? Any leads in the investigation seem only to result in more questions - not least of which is the identity of the elusive Calliope Hunt. Who is she - and what is her connection to the train of events?